Kabul (AFP) - Afghanistan saw a drop in opium cultivation this year for the first time since 2009, a United Nations report said, citing drought conditions as a key reason for the decline. 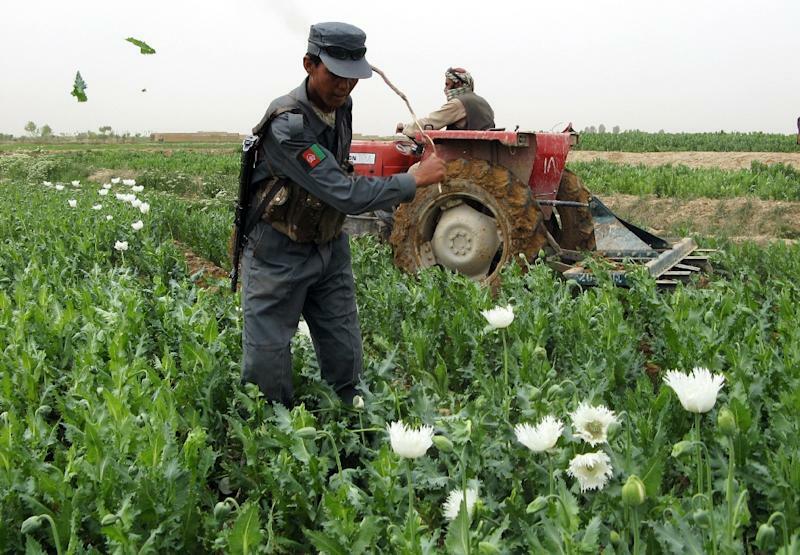 Poppy cultivation in Afghanistan has been on the rise in the past decade, fuelling the Taliban insurgency and spurring a growing crisis of drug addiction despite costly US-led counter-narcotics programmes. But the total area under cultivation dropped to 183,000 hectares (452,203 acres) in 2015, a 19 percent decrease from last year when it hit a record high, according to the United Nations Office on Drugs and Crime (UNODC). Lower levels of cultivation meant the total opium production dropped to 3,300 tons this year, a 48 percent fall over 2014. The southern province of Helmand, however, retained its title as leader in growth of opium, which is used to produce highly addictive heroin. Andrey Avetisyan, the agency's head in Afghanistan, told AFP that the Taliban hotbed "could alone meet the entire global demand" in poppies. "The low (overall) production can be attributed to a reduction in area under cultivation, but more importantly to a drop in opium yield per hectare," said the report, which was released last week. "The lack (of) sufficient water for irrigation... affected the decision of some farmers not to cultivate poppy." It also cited a substantial increase in eradication as a factor, though experts warned that did not play a dominant role. "The short answer (to the decrease) is crop failure and certainly not the counter-narcotics efforts," said William Byrd, an economist with the United States Institute of Peace (USIP). Avetisyan pointed out that UNODC had refined its methodology to estimate the areas under cultivation since last year. "We now compare two sources of information on the ground and from space with satellites and we analyse it," he said, asserting that accuracy levels had improved. Poppy farming has boomed over the years in southern and western regions, which include the most volatile parts of the country where the Taliban insurgency is the strongest. 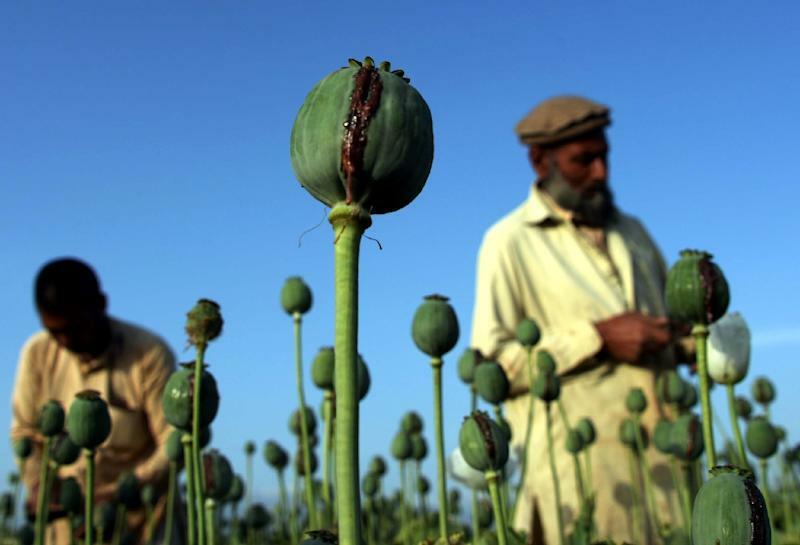 Poppy farmers in Afghanistan, the world's leading producer of opium, are often taxed by the Taliban, who use the cash to help fund their insurgency against government and NATO forces. International donors have splurged billions of dollars on counter-narcotics efforts in Afghanistan over the past decade, including efforts encouraging farmers to switch to other cash crops such as saffron. Addiction levels have also risen sharply -- from almost nothing under the 1996-2001 Taliban regime -- giving rise to a new generation of addicts since the 2001 US-led invasion of Afghanistan. The number of drug users in the country soared to a record high of three million last year, almost doubling over a two-year period, officials said in May.